IMPORTANT! 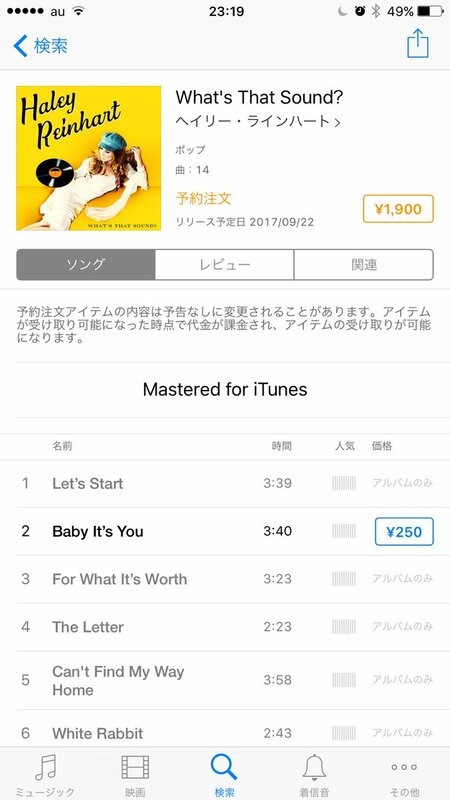 Someone posted CD details on Itunes Japan including cover art. See below. Lots of cool covers and some originals with Scott Bradlee and Casey Abrams. I know much has been made of there being many covers, but I think it it's possible this is part of a strategy on Concord's part to take advantage of the popularity of her PMJ work and raise her profile among a wider audience likely to enjoy her music. It would then be followed by another LP that includes more original material. Though the second album might be contingent on how well this one does. She remade Elvis, she remade Radiohead, she remade... These are all vehicles that demonstrate her capabilities as a singer. 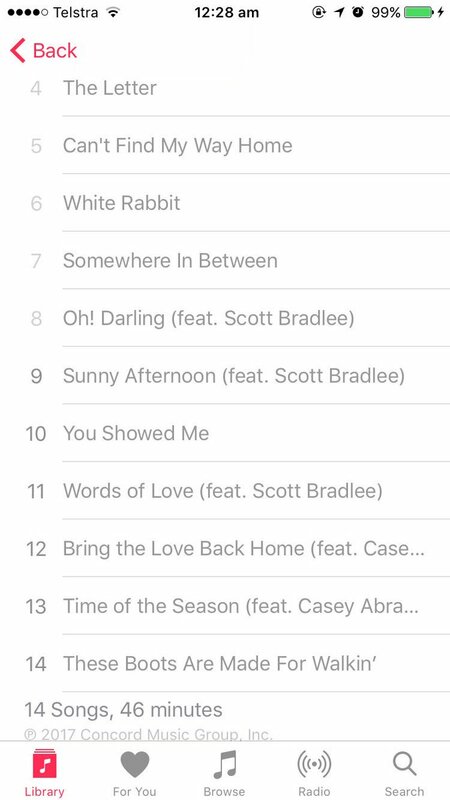 Unfortunately I couldn't get a good screenshot off itunes - its all greyed out except for BIY, but the album's expected 22 Sept [3 months wait! ]; has 2 songs with Casey including Bring the Love Back Home, 3 with Scott. 14 tracks! - looks like some originals in there as well as covers. From what I've been seeing on twitter and here many wishes have been fulfilled - something for everyone! I'm off to bed, its 3am here and my eyes and brain are closing down!! Catch you in a few hours. RE: New single (BIY) and pre-order of "What's That Sound" album on Friday, June 16th. Further out than I expected. I thought August. Late Sept., ugh! She's got her Zombies and Nancy Sinatra, and the Kinks. A mix of a couple originals and covers. Oh Darlin' - of course. Don't get the September release date. Includes three songs recorded by the Beatles -- two of which are covers they did. 1 Let’s Start -- an original? 7 Somewhere In Between -- an original? Are "Let's Start" and "Somewhere in Between" original songs? Lord, can I buy this today? (06-15-2017, 09:12 AM)Miguel Wrote: Are "Let's Start" and "Somewhere in Between" original songs? and "Somewhere in Between" is in the middle. (06-15-2017, 08:50 AM)Miguel Wrote: Nice find. I agree. In this day and age, unless you are a rapper, a teen queen or EDM maker, it is hard to break through on the charts. I think this collection is very cool, I love so many of the choices. "These Boots Were Made for Walkin' " by Haley...OH MY. People love Haley with PMJ (hello Scott) and Casey (two tracks) and I think Concord also knows that redoing covers is a smart move. She has tried two original music CDs that were terrific, but did not really break through. So why not try this approach? My hope is that this will lead people to discover or rediscover her other CDs. So excited for this...cant wait. Would make for a good video by Haley. Current time: 04-18-2019, 08:39 PM Powered By MyBB 1.8.19, © 2002-2019 MyBB Group.